Loura van der Meule lives and works in Jersey City, New Jersey, but she is a native of the Netherlands. 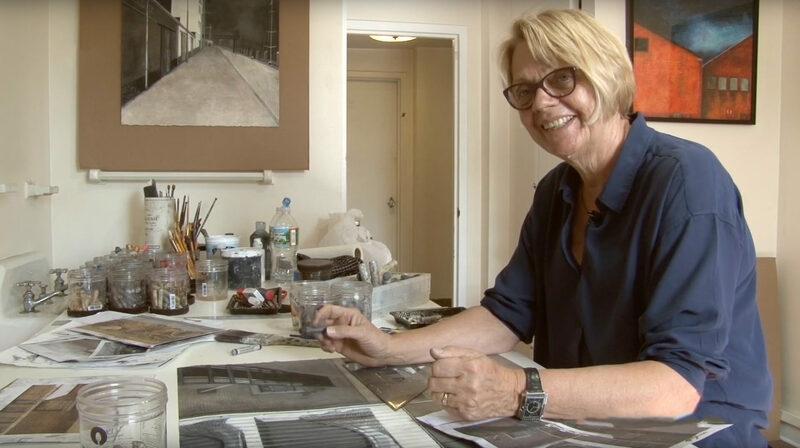 She came to New York in the 1980s on a grant from the Dutch Ministry of Culture. Van der Meule works mostly in oil pastel, acrylic paint and graphite, on paper and canvas. Her work is strongly influenced by the cultural traditions of Zeeland, a Province in the Netherlands where she grew up. Her work has been exhibited in museums and galleries in the New York area and has been collected by museums, corporations and private collectors in the Netherlands and the United States. Loura van der Meule attended the Academy of Visual Arts “Sint Joost” in Breda and the School for Design and Décor in Utrecht, the Netherlands.